LCARS 6 is coming along nicely, with completion of the Champagne update, and MSD plugins. I'm currently working on a database module which will allow periodically released database files to be installed directly into version 6. Once installed, version 6 will be updated to display new the new data packs. • Starship class schematics which include detailed cutaways and annotations with technical data. • Federations texts which include directives*, treaties, etc. 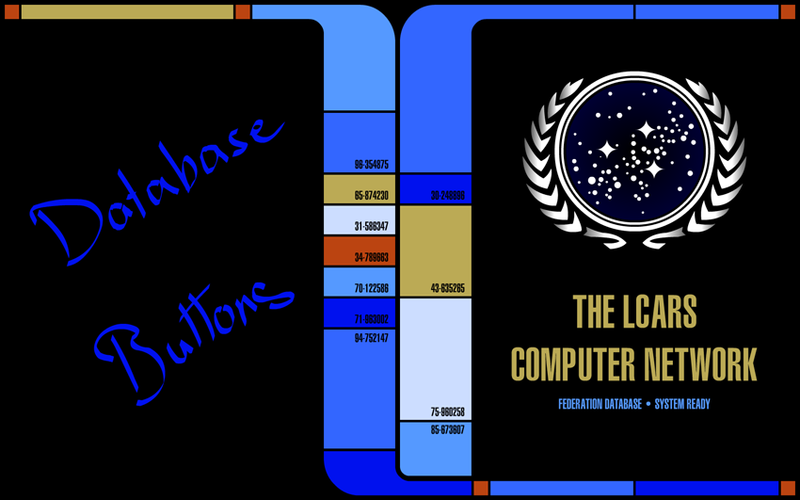 • User customizable personnel files, there are plans to include a customizable database of your own ship's senior officers. The (currently) unmarked roundish buttons will act as scroll buttons. As always, I'm open to suggestions. * The Omega Directive will be omitted, since the Federation officially denies its existence. ** Prime canon reality. 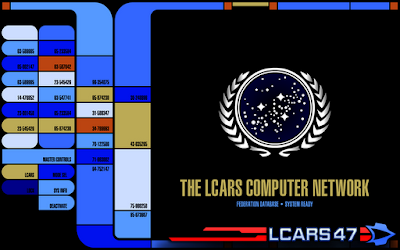 Although LCARS 47 is set around the time of Nemesis (2379 (stardate ca. 56844.9)), it is assumed that Romulus is still in existence.